As a coeliac we are denied many things but one that gets me surprisingly often is this: we can't have foods that you can eat at the same time as walking. They are all bread based - people stroll between meetings munching sandwiches, wraps, panini's, even a slice of pizza or a croissant. And when you are a busy person running around town, having to stop to eat a salad can be quite frustrating. Especially when you are with a group of people who are all happy to grab a sandwich and get going. Perhaps more accurately it's foods that you can eat without cutlery: hand held food stuffs that you can pop in your handbag and eat whenever you want. Spot the tiny gluten free label! 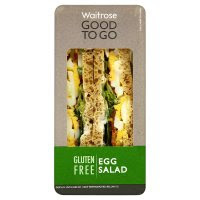 Thank goodness for the gluten free sandwich at Starbucks. It's saved me at airports, in train stations, and just rushing around town. It's subtly labeled gluten free on the packet so you have to look closely. The flavours are on rotation every three months or so. I curse it when it's the cheese and coleslaw one. 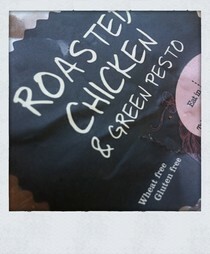 But the rest - tuna, chicken and pesto and the very tasty (and quite healthy) ham and mustard are delicious. And I'm sure someone likes the cheese and coleslaw one. Anyone, anyone? And, obviously, there are Starbucks EVERYWHERE. p.s. there's also a gf brownie, cake, and salad box. Marks and Spencers, for those visiting from foreign climes, is a department store that has a supermarket division called "M&S Simply food". 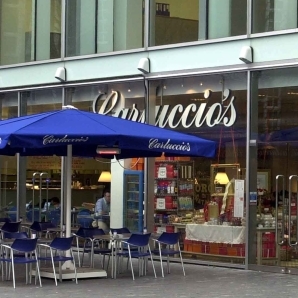 It's bigger stores have food halls within them also. 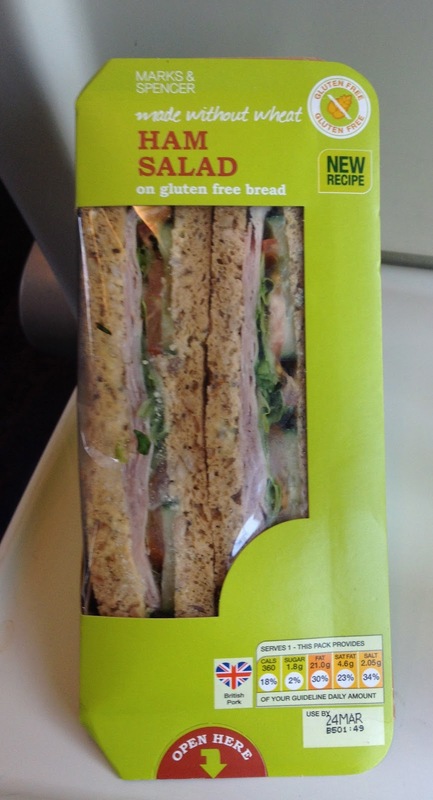 They offer great gf sandwiches in distinct lime green packets in their sandwich section. Annoyingly the brand is called "made without wheat" but it's all gluten free. ( I mean, it's like launching a line of fruit-free drinks and calling them "made without pineapple". Would a fructose intolerant person go near that?!?!). I like the ham salad one, and there's also an egg salad variety. Not all locations stock them, but I've found most London ones do. The full list is here. They also stock them in loads of train stations. Conveniency food slam dunk! Another british supermarket. 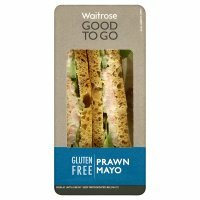 Waitrose have plenty of london stores, and sell a prawn mayo and an egg mayo sandwich. Basically if you don't like mayo then you're screwed. But if you love mayo, then you're in heaven! As you can see the packaging colours are different but the "gluten free" is easy to spot. Wasabi is a japanese chain that offers sushi and japanese curries and noodles. They do have an allergen sheet; basically the currys and noodles are a no go, the majority of the sushi is fine. BUT the BEST thing about wasabi are the ingenious Onigiri - one of which (see warning below!) 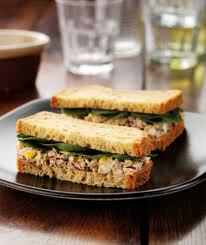 is gluten free: the tuna and mustard. For some reason that I cannot fathom, on the allergen sheet they have a tick saying contains gluten next to the tuna and mustard onigiri. Now, I know that the seaweed, chicken and salmon have soy sauce in the fillings (it says so in their descriptions) , but the tuna and mustard - well, I have no idea what would have gluten in. I've asked at the counter and none of the ingredients are glutenous. Even on the allergy sheet you can see it's not soy sauce (soyabean isn't ticked, unlike the others) I've been eating them for about five years now without a reaction, but if you are very very sensitive best to avoid. 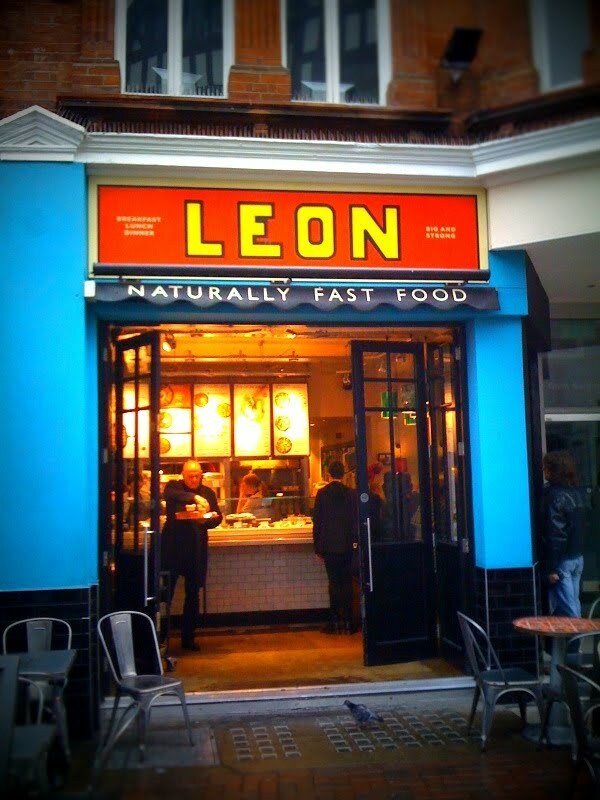 With everyone rolling into town for the Olympics, I thought it would be a good time to share a quick London eating on the go guide for you all. A firm lunch time favourite. A wide range of "healthy fast food", organic and locally sourced and more importantly, damned tasty. Everything is labeled on the menu with "GF" so it's easy to see what's gluten free. They have a wide range of items to choose from. Top dishes: Sweet potato falafel, Chicken superfood salad, Pecan pie! I've posted about them before, but they deserve mentioning again as they deserve praise for all of the hard work they have put in to train their staff to understand gluten, making them a chain where you don't have to worry. Great, fresh and delicious Italian food. A gluten free menu is available. Top dishes: Any of the gluten free pasta dishes! 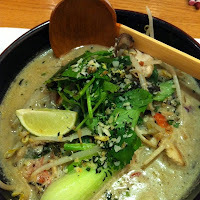 Wagamamas is a japanese asin fusion noodle bar, essentially. They have a sheet detailing what is gluten free. The options are somewhat limited but all delicious. The chicken itame is a coconut based noodle soup with thick flat rice noodles. Tasty every time. 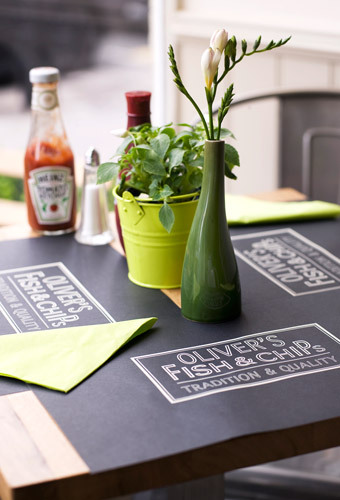 It's a casual dining environment; you share long bench like tables and the dishes are delivered whenever they are ready. Go for: a quick lunch or dinner pit stop. Top dishes: I love the chicken itame! That's it for this post, more to come tomorrow.